VERY SOLID, WELL MAINTAINED, 2 BEDROOM HOME OWNED BY THE SAME FAMILY FOR OVER 50 YEARS. BEAUTIFUL PARK LIKE SETTING ( OVER 100 FT. FRONTAGE - NEARLY 1/3 ACRE COMBINED ) IN ONE OF THE MOST DESIRABLE AREAS OF ECORSE. 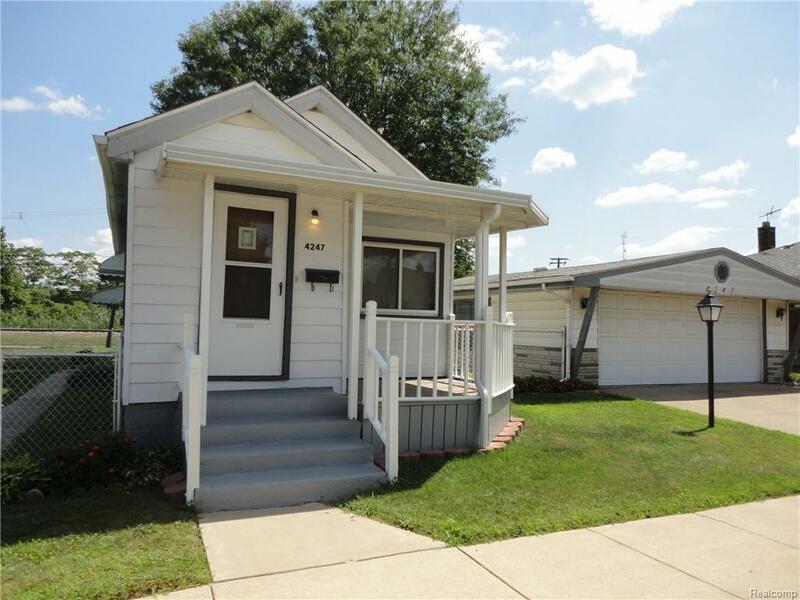 UPDATES INCLUDE NEWER WALLSIDE WINDOWS THRUOUT, NEWER FURNACE AND HOT WATER TANK, BRAND NEW CENTRAL AIR, UPDATED ELECTRICAL W/ 100 AMP SERVICE, COPPER PLUMBING, ALSO NEWER ROOF ON HOUSE AND GARAGE. GARAGE IS OVERSIZED 2 CAR. SOME NEWER CONCRETE. HARDWOOD FLOORS THRUOUT. PARTLY FINISHED BASEMENT WITH POSSIBLE BED OR PLAY ROOM. DON'T MISS THIS ONE. YOUR COSMETIC UPDATING WILL MAKE THIS YOUR DREAM HOME. Listing provided courtesy of Premiere Realty Group Llc. © 2019 Ann Arbor Area Association of Realtors Multiple Listing Service. All rights reserved. IDX information is provided exclusively for consumers' personal, non-commercial use and may not be used for any purpose other than to identify prospective properties consumers may be interested in purchasing. Information is deemed reliable but is not guaranteed accurate by the MLS or Keller Williams Ann Arbor. Data last updated: 2019-04-25T17:13:44.673.